The Africa University Bonaventure Dining Hall has received 72 modern dining table sets. This new addition affirms management’s commitment to enhance food service provision in a manner that surpasses all customer expectations. 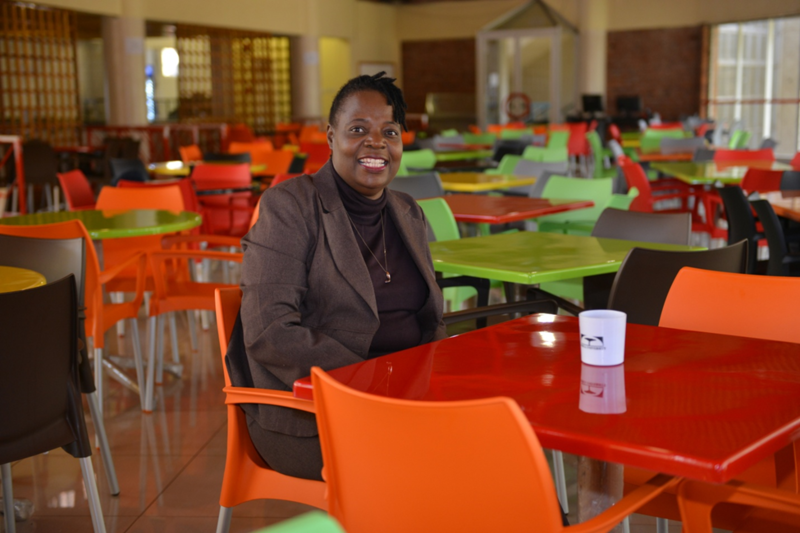 Food Service Manager Mrs. Sarah Dube seated amongst the brand new eye-catching dining table sets. Said Shamiso Makiwa, third year student in the College of Social Sciences, Theology, Humanities and Education. 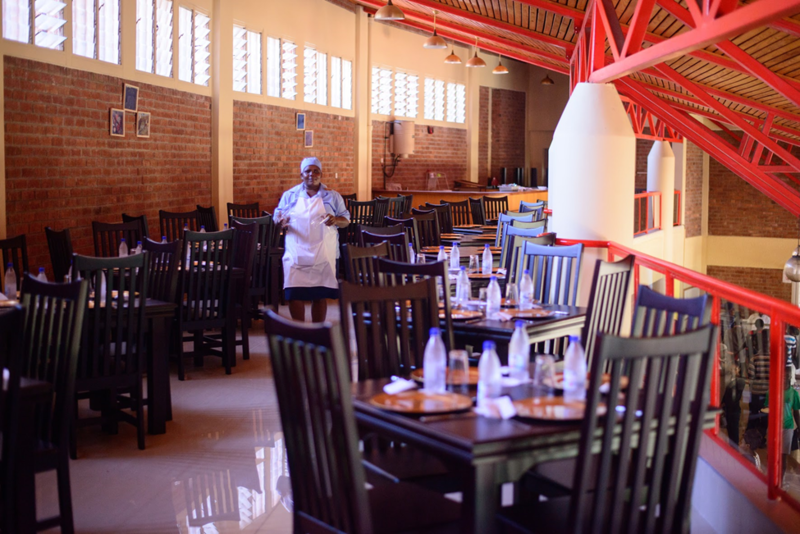 Through the recent investment, the canteen has effectively increased its seating capacity to 400 customers from previous figures of 378. The Bonaventure Dining Hall is improving through innovative dining solutions. As of last month, the canteen implemented a new payment system which makes transactions effortless for its customers. In the pipeline, the canteen’s gas initiative will focus on the use of gas as the University aligns itself towards sustainability and cost effectiveness. An executive touch of class New Teak furniture in the upper dining area of the Bonaventure Dining Hall. The Bonaventure Dining Hall serves a diverse menu of traditional favourites, seasonal selections and a variety of fresh healthy options to cater to the needs of over 1000 international customers daily. It aspires to serve home cooked meals to inspire a sense of home away from home to its customers.